The College of the Environment operates research vessels in the School of Oceanography and at Friday Harbor Laboratories, ranging from ocean-roving ships to small boats capable of a getting into shoreline nooks and crannies. Whether towing plankton nets in the Puget Sound or charting temperature-salinity profiles in the South Pacific, these vessels offer unparalleled access to ocean waters and help scientists unlock the mysteries of the sea. 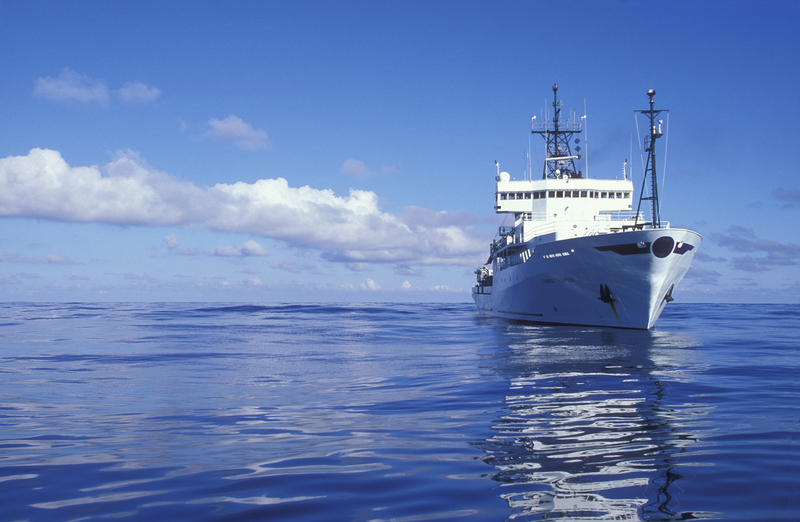 The University’s flagship research vessel, the R/V Thomas G. Thompson is capable of sailing to nearly any ocean across the globe. 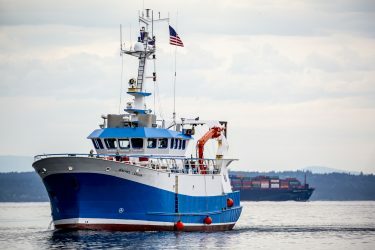 Owned by the U.S. Navy and operated by the University of Washington, the vessel is open to scientists not only from the UW, but from other academic and research institutions across the nation. The Thompson is 274 feet long and can house up to 36 scientists along with 21 crew and two technicians. The ship’s normal cruising speed is 11 knots, it has a traveling range of 12,000 miles, and it can be at open seas for up to 60 days at a time. It regularly deploys unmanned deep-sea vehicles like Jason and Sentry. The newest member of the College fleet, the R/V Rachel Carson arrived on December 28, 2017 thanks to the exceptional generosity of donors Bill and Beatrice Booth. The UW and its many partners can conduct research in a wider range of conditions and locations—from Puget Sound to the open ocean—than on the Carson’s predecessor, the R/V Clifford A. Barnes, thanks to the Carson’s endurance, excellent ship handling and seakeeping capabilities, significantly increased lab space, and increased load handling abilities. With 13 berths, the R/V Carson makes it possible for more students to participate in overnight research on Washington’s inland and coastal waters. 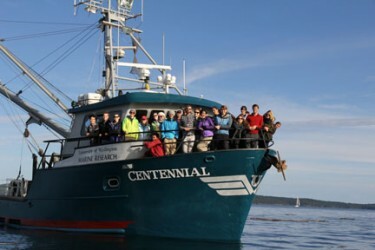 Operating out of the Friday Harbor Laboratories, the R/V Centennial is a 58-foot former salmon seiner that now offers students and scientists access to the waters of the San Juan Islands, Salish Sea and the outer coast. Up to 33 people can be accommodated on day trips while the vessel can sleep a total of 6 (including crew) for extended trips. The R/V Centennial specializes in biologic and oceanographic sampling and operates a Phantom II ROV for deep-sea observations. Numerous smaller boats are operated by the College’s units, allowing scientists and students the ability to travel to nearby field locations situated within local marine and fresh waters.